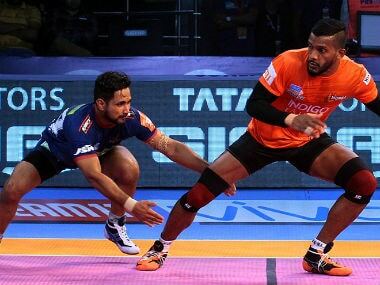 Catch Live score and updates from the Pro Kabaddi League (PKL) encounter between UP Yoddha and U Mumba. 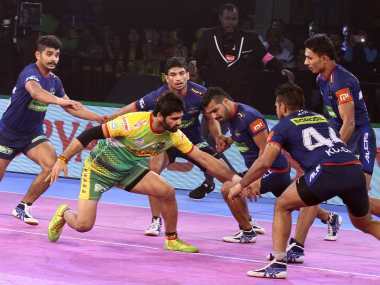 Pardeep Narwal's individual brilliance could only take them so far this season. 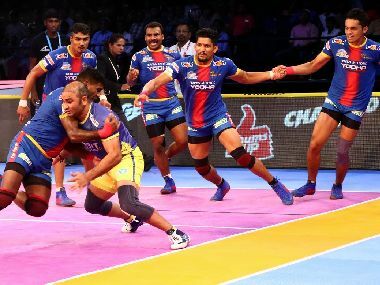 The three-time defending champions lost out narrowly to the resurgent UP Yoddha in the race to qualify for the playoffs, bowing out after the league stage. 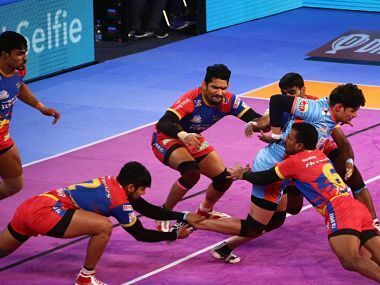 Haryana Steelers crushed host Patna Pirates 43-32 to register their third win in this year's edition of Pro Kabaddi League (PKL) in Patna on Sunday. 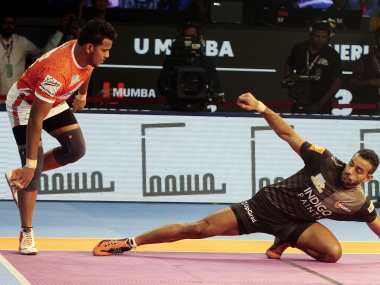 UP Yoddha tasted their second win in the ongoing edition of Pro Kabaddi League (PKL) after defeating host Puneri Paltan 29-23 in an inter-zonal challenge match in Pune on Wednesday. 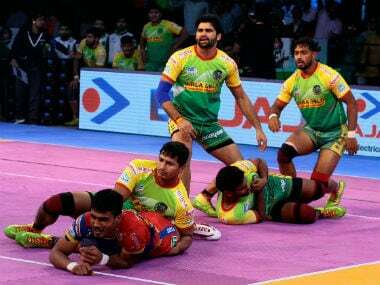 Pardeep Narwal scored 14 points to be the star raider once again but it was the Patna defence that laid down the foundations of this win. Shrikant Jadhav got 17 points for UP Yoddha and Rishank Devadiga scored 11 but their efforts went in vain.